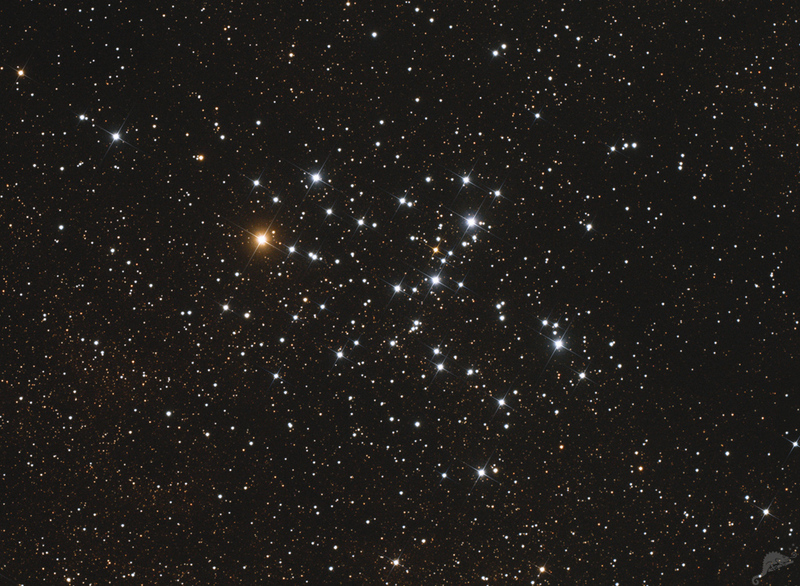 The distance to the open cluster M 6 in the constellation Scorpius is about 1,600 light-years. 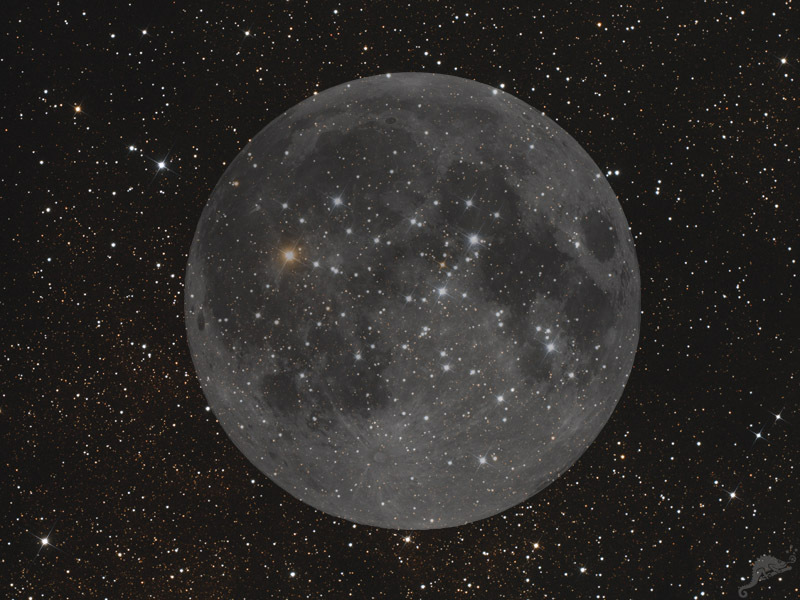 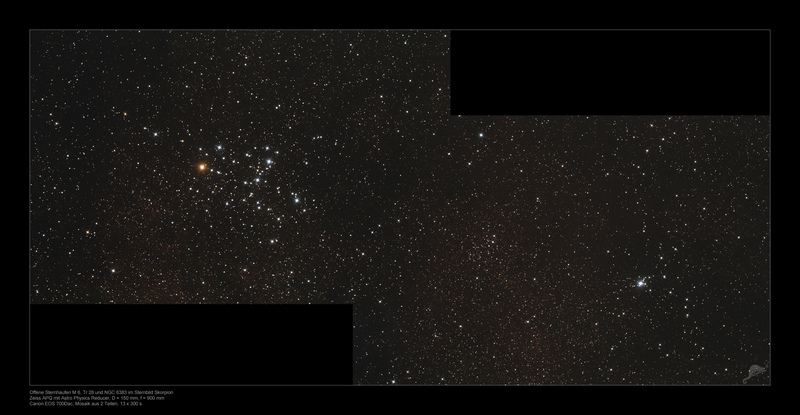 With an apparent diameter of 25 arc minutes, the cluster is about as big as the moon in the sky. 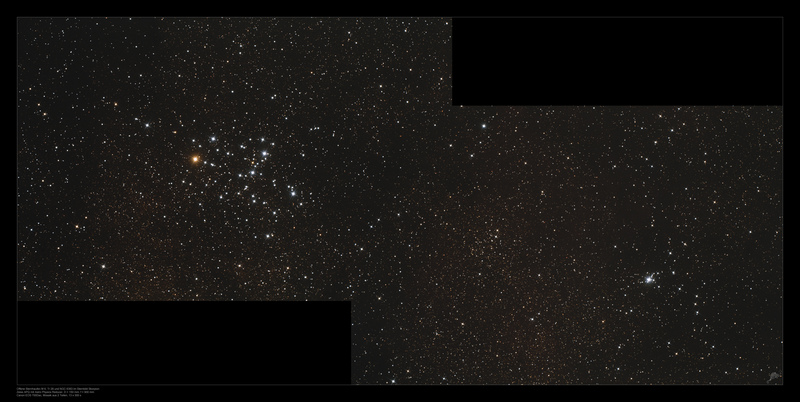 The two larger images show a mosaic of M 6 together with the two adjacent clusters Tr 28 and NGC 6383.